At OPF, we've been designing Waste Heat Recovery Units for offshore, onshore, and hydrocarbon processing industry projects since 1972. 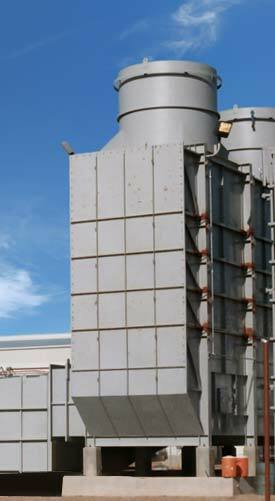 A Waste Heat Recovery Unit (WHRU) is an energy recovery heat exchanger that captures the waste heat from a combustion process, typically turbine exhaust, and uses it effectively in another process. Our innovative systems capture excess thermal energy in your waste heat to and put it back to work for you. We also supply back-up firing and complete instrumentation systems for all types of WHRU applications. The industrial sector accounts for around one third of all the energy used in the United States. Studies show that up to half of that energy is lost as waste heat. Maximizing the thermal efficiency of an industrial process is critical to the operation of a profitable production facility. Provide greater return on every dollar you spend on fuel or utility-provided electricity. Our experienced engineers will use state of the art technology to design a WHRU that is customized to fit your needs. We will begin by analyzing the heat available for efficient recovery. Then, we'll custom-design a Waste Heat Recovery Unit that meets your specific application.